In a sentence in passive voice, the subject is not acting in the sentence; it is being acted upon. 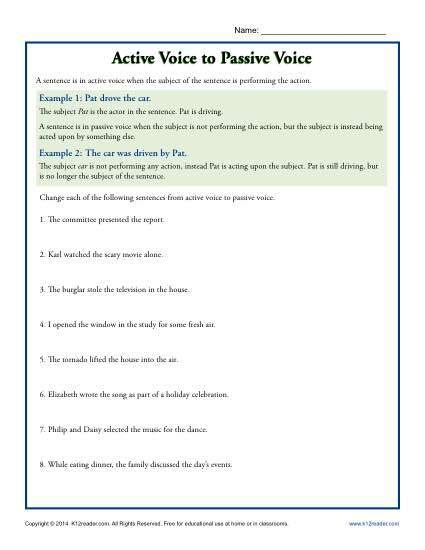 A simple change of sentence structure can make a stronger sentence in active voice. This worksheet is compatible with Common Core Standards for Language for 8th grade. You may also use it as needed for other students.